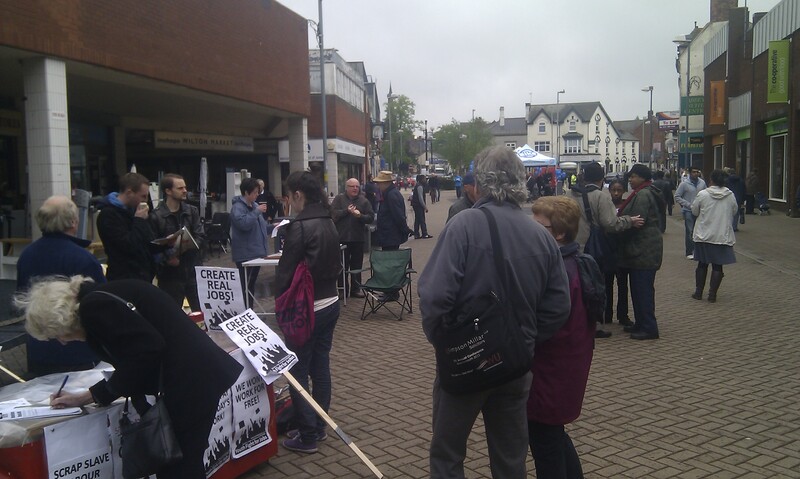 I enclose a brief report on the Erdington Against the Cuts meeting on the 16th October. 1. Pete reported on the GMB campaign against Gove’s policy of sacking of classroom assistants which Gill Whittacker, regional GMB official, had spoken about at a recent Bham TUC meeting. It was agreed to support this campaign and organise a local public meeting on Wednesday 20th November with Gill as the main speaker. We would hopefully produce a leaflet with GMB assistance and leaflet local primary schools prior to 9 am and from 2.45 pm –3.15 pm. Stuart would check the availability of the Methodist Church and Bob suggested we lobby boards of governors of schools on this issue. Sharon volunteered to design the leaflet for the meeting. 2. Ian reported on progress with organising the Bham TUC conference on Saturday 22nd February at 11 am — 4 pm The Priory Rooms Bull St. Subsequent to the meeting the left wing NHS campaigner John Lister has agreed to speak. It was agreed we would organise a stall outside the Erdington Walk-In centre 11 am- 1 pm Saturday 16th November to promote the TUC NHS conference and Erdington Against the Cuts/GMB meeting on school assistants. 3. Stuart reported on Bham Labour Council plans to privatise some Leisure Service centres and transfer to community organisations if possible or close other Leisure centres. The Labour councillors seem to have no strategy to delay decisions hoping a Labour government will reverse any cuts but are selling off buildings including Libraries as a permanent reduction of Council services. 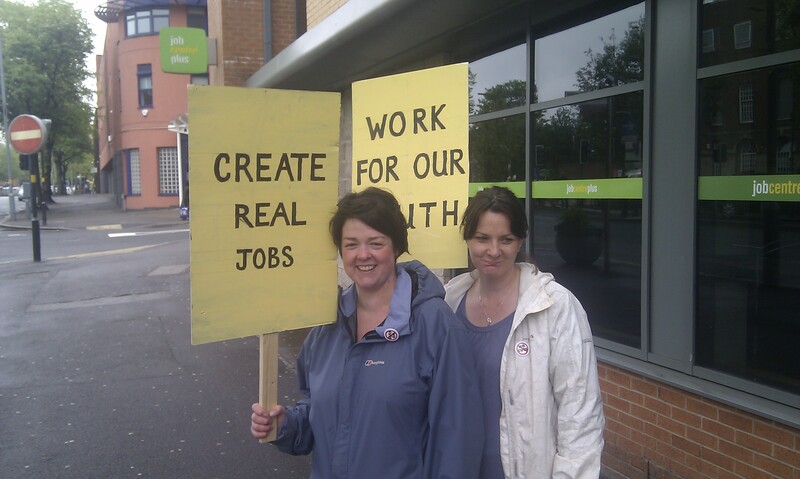 We should try to find out what is happening to Leisure services in Erdington. Stuart will contact Josh Jones on this issue. 4. Stuart reported on Bham Against the Cuts plans to produce a campaign bulletin for the City Council budget consultation expected to be held in late Nov/Dec. Bob referred to a previous budget consultation meeting in Sutton Coldfield. 5. Tony referred to the Firefighters strike on the 19th Oct and the Royal Mail strike on the 4th Nov. It was agreed to support both if comrades were available. 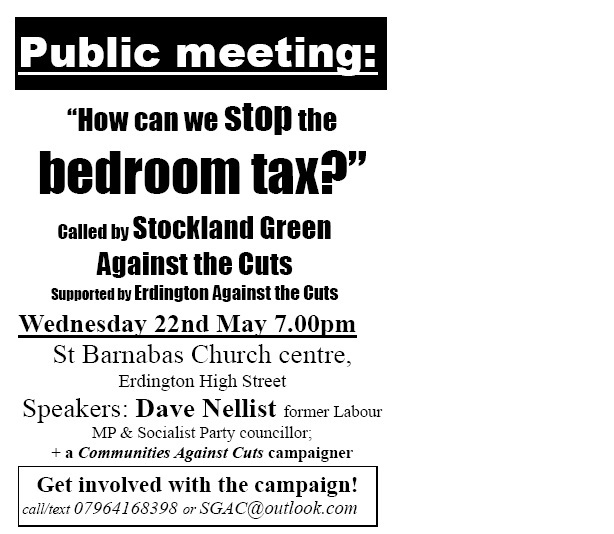 There will be a number of meetings in the next couple of weeks in local areas around Birmingham that are heavily affected by the Bedroom Tax, as local residents start to organise themselves to resist the charge and any evictions that may come from it. There will also be a lobby of Albert Bore’s surgery at the council house on Friday 17th May from 6:30pm and a protest outside. See here for more information. 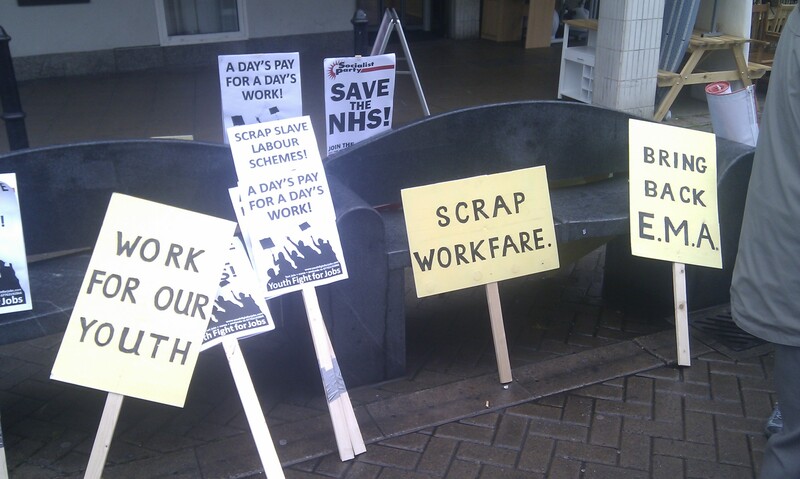 Erdington Residents against the Cuts are hosting a meeting for two speakers, Patrick Highton and Ken Band, from the Save Our NHS Campaign at 7.30 pm Thursday 21st March Erdington Methodist Church Station Road (next to Erdington Rail station). 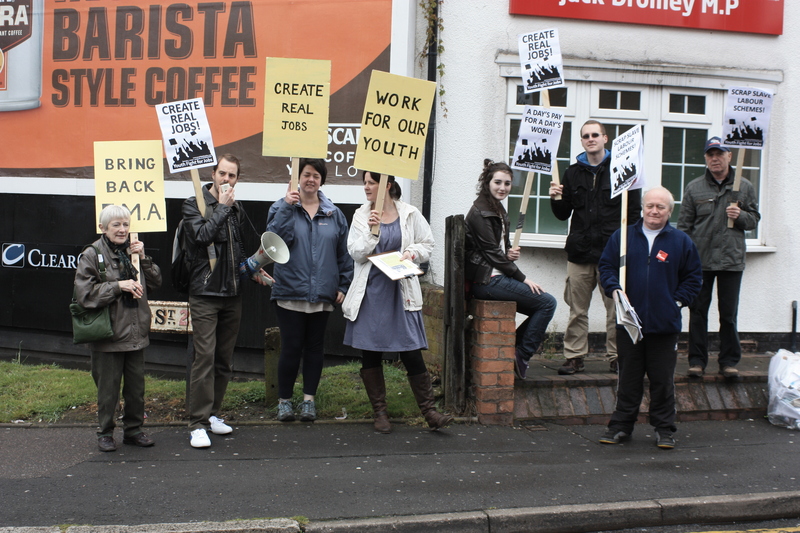 On Saturday 19th May, people from the local group Stockland Green Against the Cuts gathered on Erdington high street with Youth Fight For Jobs to demonstrate about the lack of jobs and support of education and training for young people. 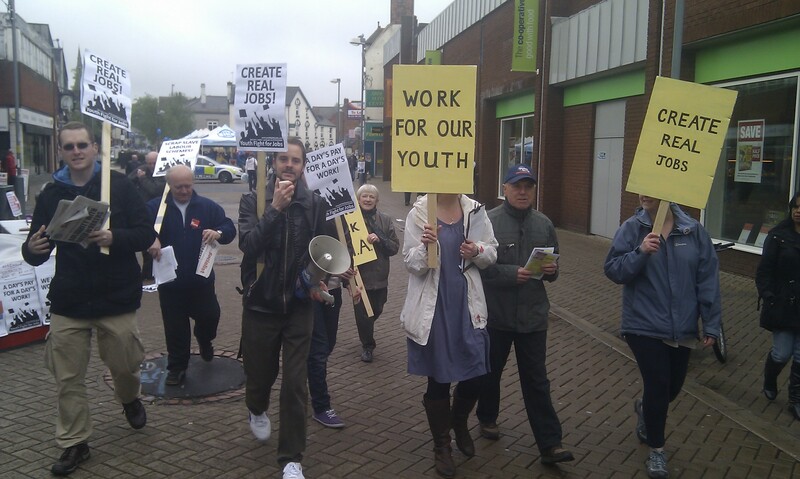 Around 15 people, aged from 7 to 70, met at 11am and marched down the high street, past workfare exploiters like the British Heart Foundation and Greggs, and down the dual carriageway past the job centre and Jack Dromey MP’s office, handing out leaflets and talking to passers-by. 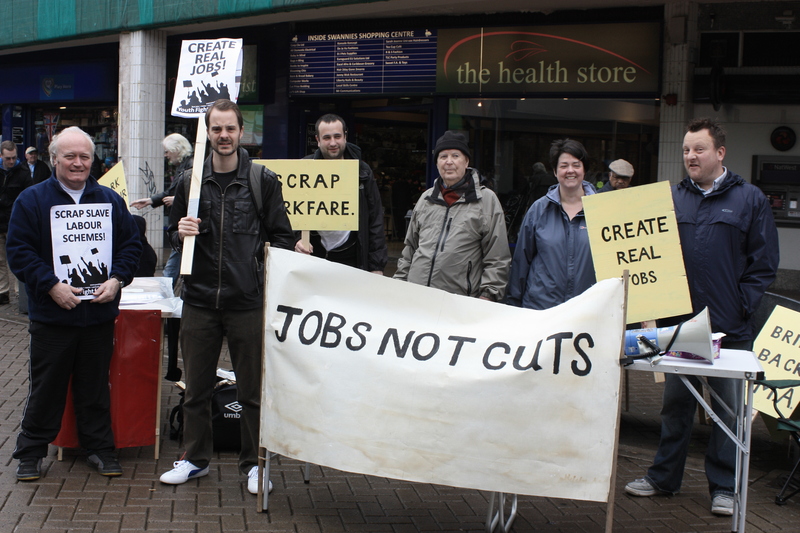 The demonstration was largely met with support, shoppers on the high street stopping to share their stories of unemployment, economic hardship and ideas about what should be done. A few disagreed, still hanging on to the idea that austerity can work, despite the mounting evidence against it. After the march there were some speeches, talking about how workfare undermines paid jobs, increases employment and fails to help people find work; about the difficulty for young people to find jobs in the midst of the worst economic times for over 100 years; about the closure of education and training opportunities with the scrapping of EMA, increased university tuition fees and the downsizing of Connexions; about the difficulties disabled people are facing with cuts to DLA, the closure of Remploy, the handling of work capability assessments by ATOS and attacks on the NHS; about the general economic situation and what the alternatives to austerity are. A good demo, and great to see one of our local groups active on their high street, taking the argument to the suburbs, to people’s neighbourhoods and communities, rather than staying in the city centre. 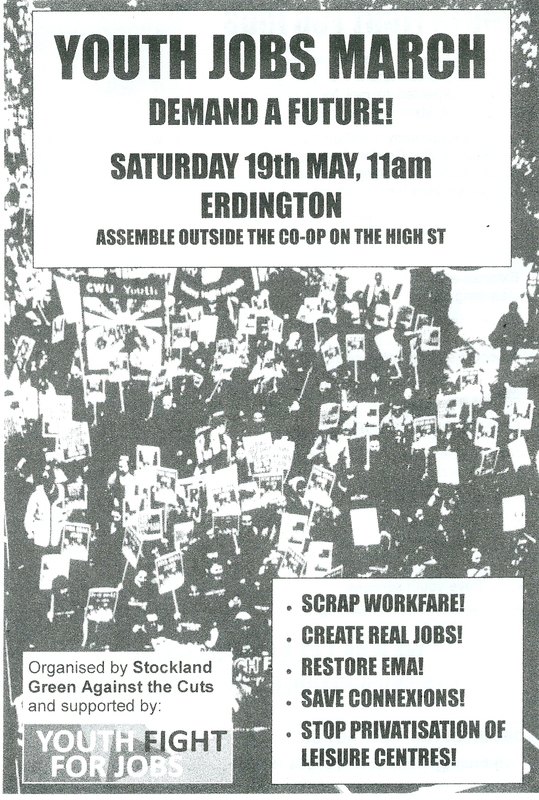 Local group Stockland Green Against the Cuts, supported by Youth Fight For Jobs are organising a Youth Jobs March on Saturday 19th May, assembling 11am outside the Co-op on Erdington High Street. No education, no jobs, no homes, no services. This is the bleak future that young people face. We are expected to pay for a crisis caused by the rotten system we live under. There are currently 1 million 18-14 year olds out of work. This joblessness is a result of the ConDem austerity yet the government tries to punish the unemployed by forcing them to work for their dole. This gives their big business mates the opportunity to get some work done on the cheap. The cap on tuition fees has been raised to £9,000 a year, pricing many working class people out of universities. And in one of the stingiest attacks, EMA has been scrapped. Education is becoming the preserve of the rich. Extortionate housing costs and cuts to housing benefit mean that areas such as London will see social cleansing as only the super rich will be able to afford to live there. In Birmingham, 34,500 housing benefit claimants – many of whom are in work – will be chasing 23,000 low cost houses, and it is unknown how many of those are available to people on benefits, as the “No DSS” clause seems to be getting more and more common. Youth services are being cut to the bone. The riots last year were fuelled by cuts to youth services. If the government carries on its present course then we could see the inner cities set ablaze again. They say there is no money, but they found the money to bail out their cronies the bankers, and the rich owe £120 billion in unpaid taxes! Now is the time for young people to fight back! We need to stop the ConDemolition wrecking ball that is smashing our hopes and futures.